Event organizers can arrange to pay for parking and have it billed to an invoice or a UW budget number. 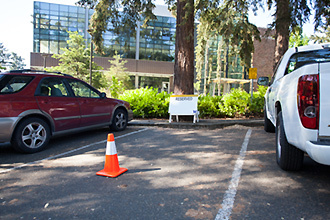 Visitors who arrive on campus after parking arrangements have been made through the Transportation Services Events team should stop at a gatehouse and give the gate attendant the UID# issued to them. If arrangements have been made to bill the cost of parking to a departmental budget number or invoice after event, the attendant will present the visitor with a gratis permit for the parking lot assigned. Event organizers can also pay an additional fee to reserve a specific stall. Reserved signage and a cone to block the space will be set up either the night before or morning of the event. Guests with a single-use reserved stall should first stop at the gatehouse to receive their parking permit. They should then drive to the designated parking lot, locate the coned-off stall and park after moving the cone. For any questions about arranged parking, please call 206-616-8710. 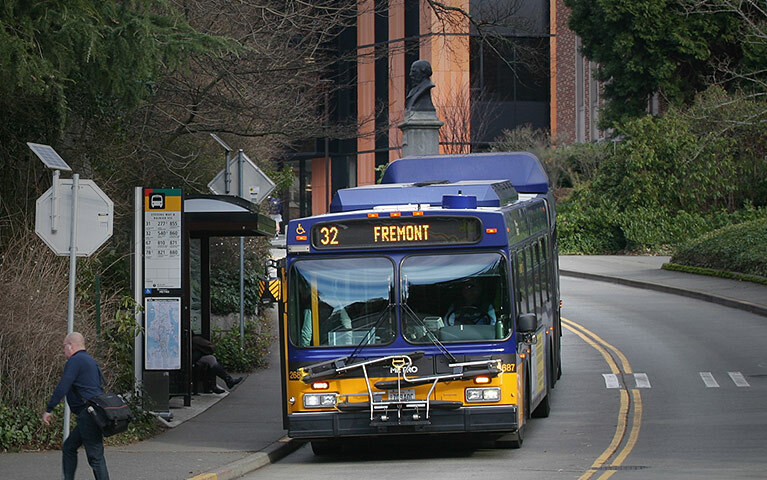 Take bus or light rail to the UW.